Mangos are known for their smooth, sweet creaminess, and blended together with our oranges picked at the height of the season, it makes for a tall glass of yummy sunshine. 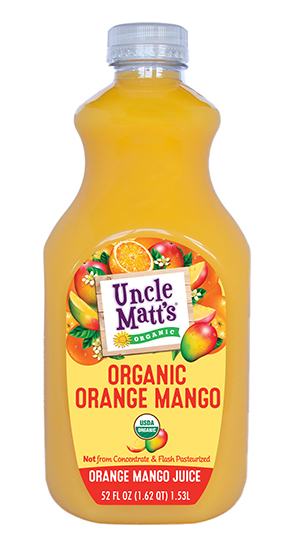 Our organic orange mango blend is sure to be a hit with your whole family. What’s more, you’ll get 100% RDV of Vitamin C in every glass, plus folic acid, Vitamin A and Thiamin.